More than a car. It's a Subaru. Do you need a versatile new sedan that can adapt for any adventure? Come check out the new 2018 Subaru Impreza now at McKenna Subaru and compare it to other SUVs in the class to see where it gets the edge. With incredible value and a lower starting price than the 2018 Toyota Corolla, 2018 Ford Focus and 2018 Honda Civic, it's no wonder California drivers are flocking to the new Impreza in abundance. Come take the new 2018 Impreza sedan for a test-drive at our Subaru dealership near Irvine, CA, to explore the Impreza interior and learn more about the Impreza hatchback model. The new 2018 Subaru Impreza sedan boasts standard Subaru Symmetrical All-Wheel Drive and incredible fuel efficiency that combine to blow the competition out of the water. To get AWD when buying a Civic, Focus or Corolla, you'll have to upgrade models and spend thousands of dollars extra. The new Impreza is home to a standard SUBARU BOXER® engine that returns up to 38 highway mpg, while an optional Lineartronic® CVT helps to elevate your daily driving experience. 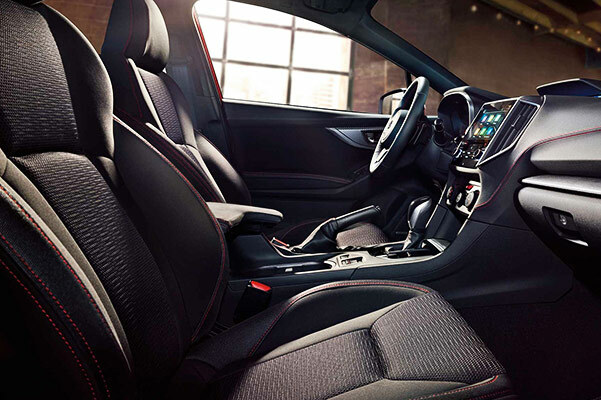 Move inside the 2018 Subaru Impreza interior and you'll find a wealth of first-class amenities. 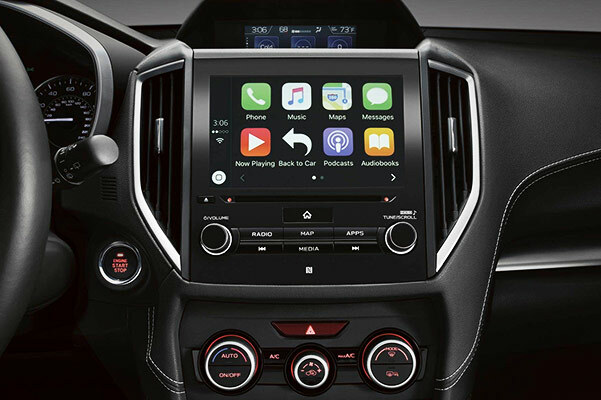 The standard SUBARU STARLINK™ Multimedia system keeps you connected on the go, and you can upgrade Impreza trims to get luxuries like leather-trimmed upholstery, navigation, an 8-speaker Harman Kardon® sound system and more. Plus, with top-tier safety ratings and available Subaru EyeSight® Driver Assist Technology, the new Impreza sedan allows you to cruise with complete peace of mind. Compare the 2018 Subaru Impreza to the Focus, Corolla and Civic, then come down to McKenna Subaru when you're ready to buy. Schedule a test-drive and learn how you can finance or lease a 2018 Impreza near Irvine, CA!